This week I am featuring author John W. Hawthorne and his fascinating book, Haven and Hope. The ad campaign promised that neural implants would allow new skills to be downloaded almost instantly, that one could learn a new language overnight, or even take a virtual vacation from the comfort of their own home. The propaganda failed to mention the searing headaches, the random misfiring of various bodily functions, or the occasional creation of newfound abilities. Further testing was clearly required. Jacob Dane’s third strike lands him a life sentence, until a controversial prison rehab program gives him one more shot at redemption. As he attempts to build his new life on the streets of Chicago, Jacob is afforded an opportunity, one which resides in the grey area between legal and sending him back to prison. Hello and welcome to the blog, it’s nice to have you here. Tell us a bit about your book. Genre-wise, I’d call it cyberpunk, but only barely. It is set in an era where things such as neural implants have just begun to be on the market. Unfortunately, they didn’t work as well as planned, and created a whole new set of problems for the early adopters. Headaches, schizophrenia, and occasionally newfound abilities (not necessarily useful ones). The main character is one of the implanted, and is doing better than most. The question of why will be a theme throughout the series. Your main character is Jacob Dane, how does the neural implant affect him and his actions in the book? Jacob was a bit of a hard-luck case. He ends up in the foster care system, and a bit of a juvenile delinquent. After a violent outburst, he ends up getting a third-strike life sentence, but is accepted into a controversial rehab program that gets him out after a few years in exchange for being implanted. So, in the most basic sense, the implants are the only reason he’s not in prison. In the more relevant sense, Jacob actually hates the implants, and tries to avoid using them at all costs. There is a lot of opportunity to be had for people who have the implants and are still sane. Not all of it is legal, however, and Jacob has to decide between the temptation of riches and the risk of going back to prison. Tells us more about the implants, what kind of new abilities do they create? Basically, imagine having a set of magnets on your wrist, a wire running through your body, and a computer in the base of your brain. With these implants, you could have the ability to access virtual reality directly, download skills from pre-programmed chips, that sort of thing. If they had worked right, anyway. As far as the new abilities that they create, they’re all things which are within the confines of real neurology, nothing extra-sensory or mutant powers, per se. Basically, it can induce a very specific sort of savant behavior. In Jacob’s case, for instance, he has a constant awareness of time, down to hundredths of a second. It could be really useful in many ways, but I’m sure you can imagine how annoying that could be, too. I never wear a watch, so knowing the time like that would be pretty cool, until I tried to go to sleep, lol. I can see where it would get annoying though. What kind of character is Jacob? I guess I would call him an anti-hero, but that’s not strictly right. Despite his history, he shows himself to be a good person, but doesn’t necessarily know the right method to be good. There was definitely a lack of positive role models in his life. He is rather an anti-hero isn’t he? But he is the not so good guy who does his best to be good. I think you did a great job with his motivations. This is actually kind of funny, and it will require my to let my geek flag fly a little bit. Several years ago, in college, I was running a cyberpunk-themed role playing game. I’ve always been a firm believer that any good character has a well-developed backstory. Without giving away too much of the upcoming novels, Jacob was the antagonist of that game. I had developed this really detailed explanation of who he was, what his motivations were…but they never came up in the game. So this story, which I feel is really compelling, has been rattling around in my head for a long time. After a couple of attempts to manifest it (there was a screenplay and an attempted graphic novel), I focused on writing it as a novel…which blossomed into a series. I love it. Nothing wrong with geek flags. 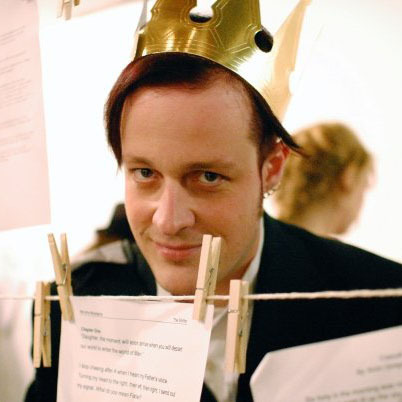 Many moons ago, I played D&D. Sounds like Jacob wanted to be more than the game. I think I’ve always been a writer; it just took me a while to embrace it fully. In third grade, I wrote a Scooby-Doo type mystery for a Young Writer’s contest. I somehow ended up disqualified, though no one would ever tell me why. I figured out as an adult it was because it was so complex that they must have decided that my parents wrote it for me. I submitted the same story, with minor revisions, to the same contest in sixth grade and won the state competition. I’ve been writing ever since, in phases. I have a currently-shelved high fantasy series I intend to return to once the Dark Mercury series is finished, and enough other ideas germinating to keep me writing for the rest of my life. How do your friends and family view your writing? Are they supportive? I truly have the most supportive network of friends and family when it comes to my writing. I have never received anything but encouragement and assistance. It’s been great, but I also have to admit it creates challenges all its own. When everyone is constantly telling you how amazing your book is, you start to assume that it’s just sort of lip-service, that they’re saying it not because it’s good, but because they want to be supportive. Thankfully, I also had a friend several years ago who was an aggressive editor. He edited the first chapter of the aforementioned high fantasy novel, and he just savaged it. There was more red ink than black on every page by the time he was done. I was devastated at the time, and didn’t write for almost two years after that. But once the wounds had healed, I realized the truth of it: that everything he had said was completely correct, and that he made me a much better author as a result. And that’s pretty much the best support of all. That is great. That kind of support is wonderful to have. Are you a panster or a plotter? Do you control the story or do your characters take on a life of their own? I’d have to say a bit of both, but probably 80% pantser and 20% plotter. Basically, I know that the characters are going to go through pre-planned plot points A, B, C, D, but I don’t necessarily know how they’re going to get there when I start writing. I let the characters find their way and take me along for the ride. This requires judicious editing later, obviously. I had a whole chapter in the first draft that turned out to ultimately be an entirely unnecessary tangent that I never revisited. Excising it was easy…other than the thirty other casual references to it. Why is Jacob wearing a tuxedo shirt all of a sudden? Where did he get the business card? As long as the book may currently be, I easily removed 10 percent of the original draft. I understand completely, I write the same way. It makes more work for us sometimes, but it’s worth the freedom. Also, as much as it pains me to write this, I have been known to listen to dubstep while trying to write action sequences. Wish that I *was* writing? But seriously, I’m a graphic designer by trade. I’m also an avid cyclist and fan of professional cycling. Video gamer, occasional role-player, occasional sketch artist. Jack of all trades, working on becoming master of one. I really want to spend time in Tokyo. I love densely urban environments, and I think the constant bustle and the omnipresence of technology would empower my writing. I can’t close a locking door without having my hands on the keys that re-open it. It’s totally neurotic, but at least I (almost) never get locked out of a place. I’ve joked that this is my “newfound ability” from my implants. Beyond the standard “BUY MY BOOK” that I’ve been spouting everywhere? Well, I’d just like to say that I’m really looking forward to interacting with readers. Honestly, my biggest dream as a writer is that I’d be popular enough that someone would start a fan-fiction website. Creating compelling enough characters that other people would want to explore them in new ways is an amazing thought. I know a lot of writers that cringe at the thought of someone else “ruining” the integrity of their work, but I think it would be phenomenal. I have to say, I read the sample and I loved it. And that is saying something because it is written in present tense, which I usually can’t get into. Thanks for the compliments. I know that present-tense isn’t for everyone, but I wanted to take that risk with this series. My later fantasy series will be in past tense. Thanks again for the opportunity to appear on your blog. Take a look at Haven and Hope, you won’t be sorry. John does a wonderful job of pulling you into Jacob’s life and world. Click here to buy Haven and Hope today! John W. Hawthorne’s first novel has just been published on Kindle, but he is not new to writing. 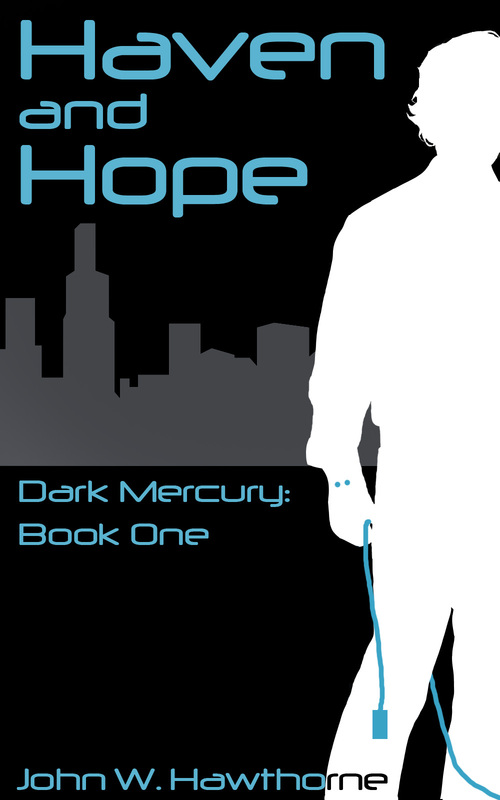 His current book, Haven and Hope, is the first book in the Dark Mercury series, of which books two and three are already in first draft form, book four is underway, and the book five finale promises to be entertaining. John has been creating stories for as long as he can remember, from the early days of running Dungeons and Dragons games, through later adventures in different genres. He intends to keep writing, and plans to switch genres often. Interesting concept. If the implants worked you can just download yourself new skills. Let’s see, grammar, languages, musical instruments, what else? Great interview. Makes me want to read the book!